Life after football. 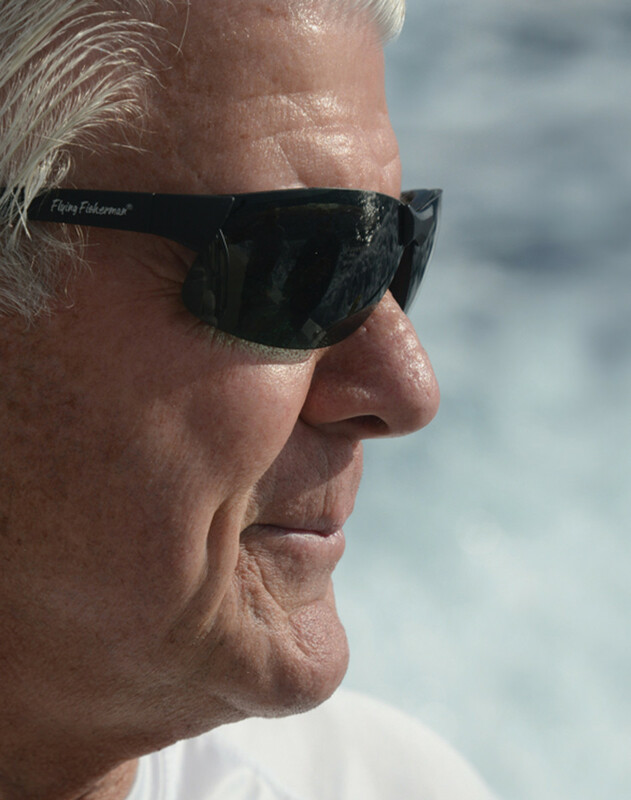 Former coach Jimmy Johnson enjoys fishing and kicking back in the Florida Keys. Legendary Dallas Cowboys coach Jimmy Johnson has a gym in his Florida home. 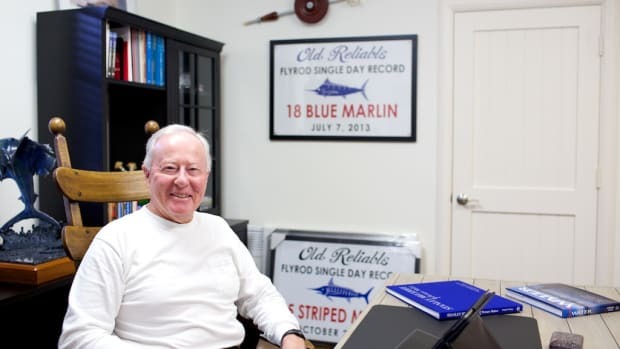 It’s normal enough for somebody from his line of business, and its walls are covered with framed football awards, fishing photos and magazine covers picturing him. It’s the ultimate man cave, I think, until he leads me through a door on the ground level of his guest house. 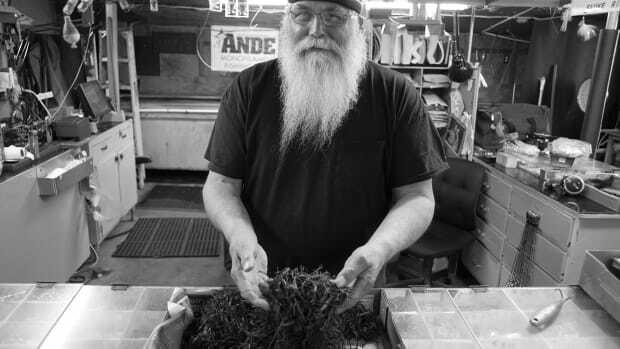 There, we enter a room lined with offshore-class rods and reels, plus stacks of lure boxes filled with rigs — rigs that Johnson tied. The space is an offshore angler’s nirvana. 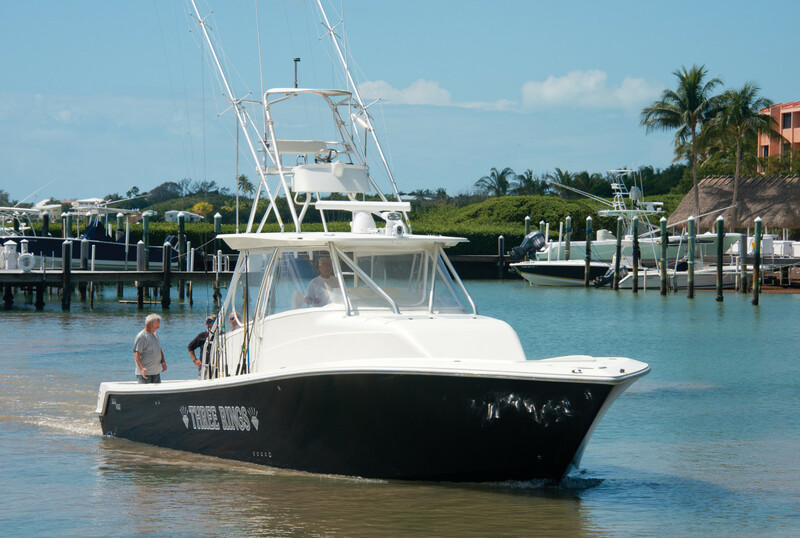 Johnson owns a 39- and a 43-foot SeaVee, both named Three Rings. Johnson and son Chad head offshore. 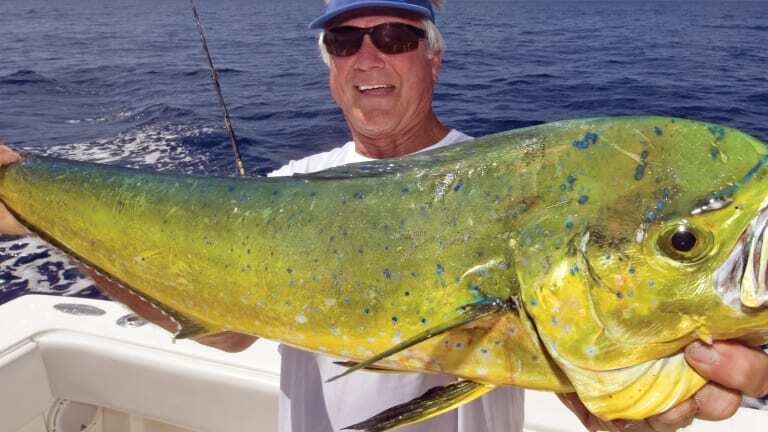 Out on his SeaVee 43 for an early morning fishing session, the agile 74-year-old puts the boat on autopilot and deftly bounces from one rod holder to another, setting up a five-line spread in minutes. 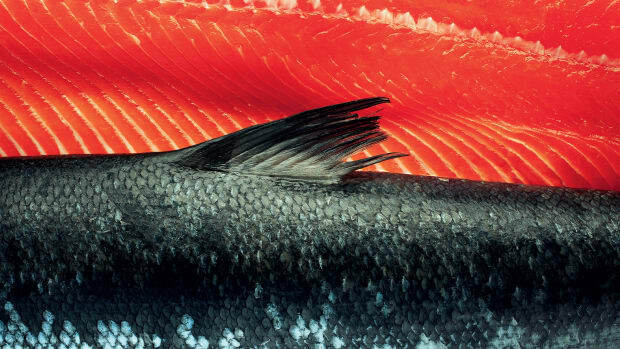 The wahoo rigs are simple, and he prepared them all in advance. Drail weights with lengths of 480-pound wire attached are coupled to an assortment of wahoo lures. Johnson grabs these setups from a bucket and attaches each to a corresponding rod. When three lines are out, he flies up the tower like a Verizon lineman to swing out the outriggers. 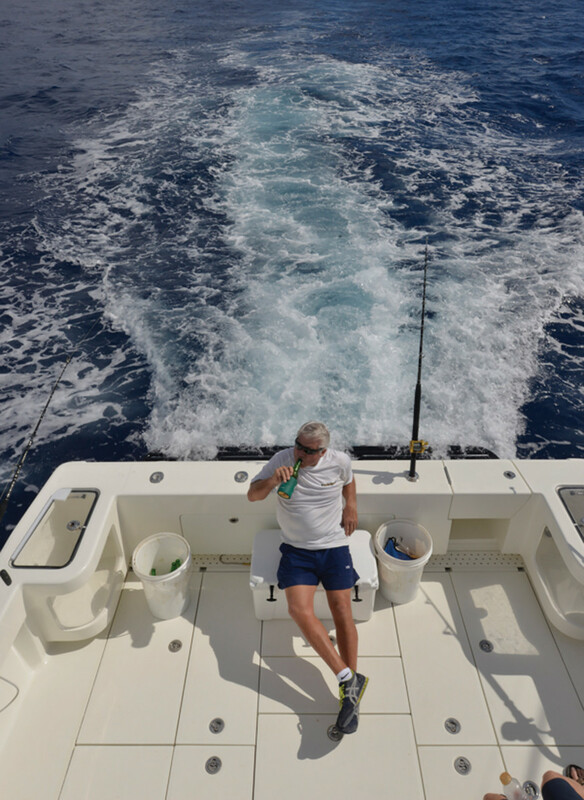 Back on deck, he sends out two more lures on the outriggers, jumps back to the helm to adjust the boat’s speed and finally settles down on the cooler with a Heineken Light. 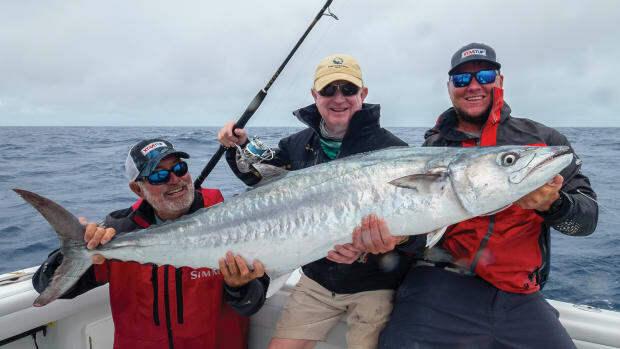 He is fishing outside prime wahoo season with his son Chad and two longtime friends and fishing companions, Ted Connor and Ziggy Scholz. After trolling for 90 minutes without a hookup, they haul in the spread and head to a different spot to jig for amberjack. 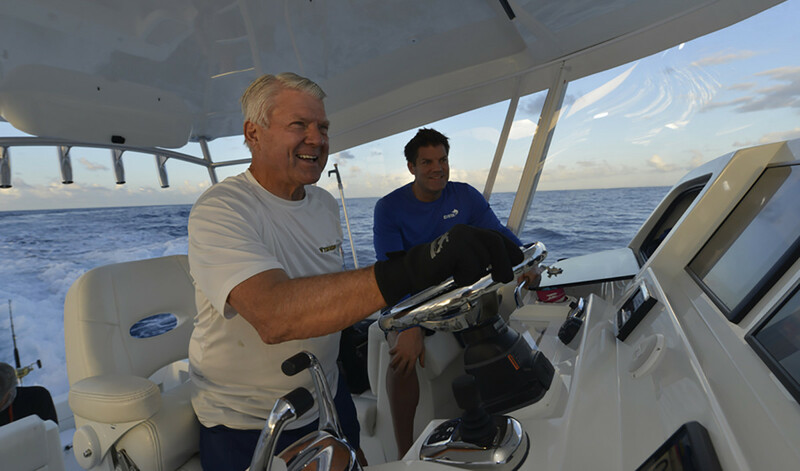 The coach plays his twin Garmin chart plotters with precision, placing the boat squarely over a wreck. Three flutter jigs are dropped, and within seconds, Connor is hooked up. “Time to haul up the Volkswagen, who wants it?” the coach yells. Connor does the honors. After 15 minutes, the fish breaks off, and Connor has a new rod rigged with another vertical jig. He gets another hookup, and this time it’s something big, either a much larger amberjack or a shark. 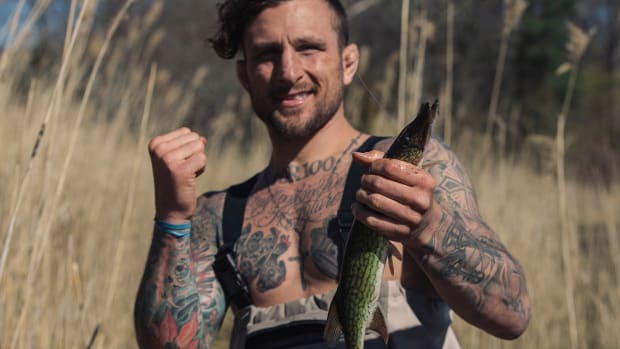 Over the course of 40 minutes, the rod is passed among Connor, Scholz and the coach, each reeling until the fish, again, breaks off. 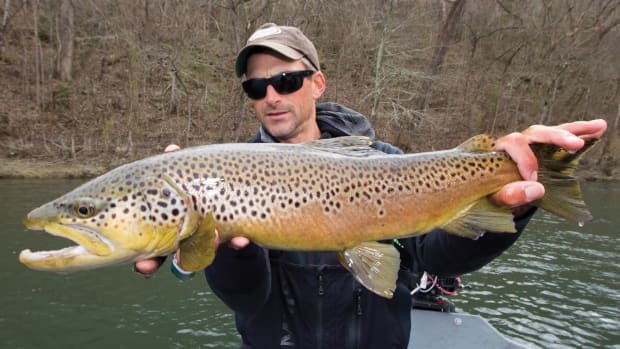 Upon close inspection, Johnson is pleased to show everyone that it was not his uni-to-uni knot that failed, but rather the 80-pound fluorocarbon leader that parted. 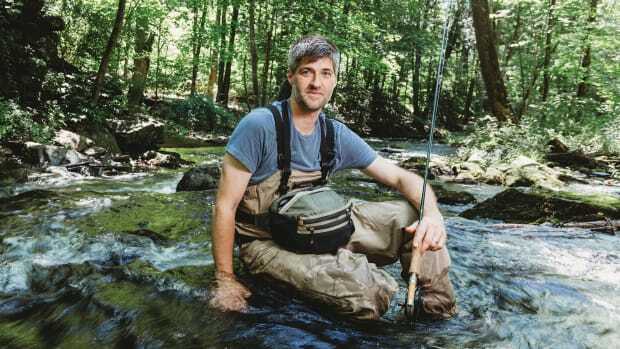 The former coach is a happy man when he’s chilling on "Three Rings" and the fish are cooperating. One of those “fun days” on the Cay Sal Bank off Cuba involved Johnson, Connor and Scholz. The three were fishing in Bahamian waters with, well, less than the required paperwork, when they saw a blip on the radar about 5 miles off. They decided to head for home. Three Rings is a quick vessel, so in no time, the blip dropped back to 7 miles. 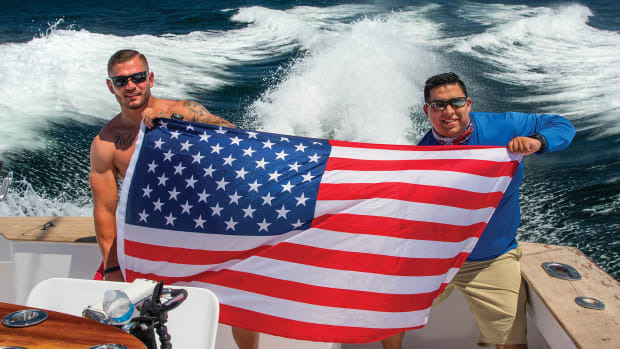 They were cruising at speed with the stereo blasting and had no idea that the blip was a Coast Guard cutter on routine patrol — and now chasing them. A short time later, a Coast Guard helicopter swooped down beside them, no more than 15 feet off the water, easily matching their speed. The pilot motioned to Johnson to shut down the vessel and get on the radio. As a boarding party from the cutter neared, Johnson heard one of the crew yell, “Hey, coach, we didn’t know it was you!” The authorities boarded Three Rings to do a routine safety check and sent the men on their way. 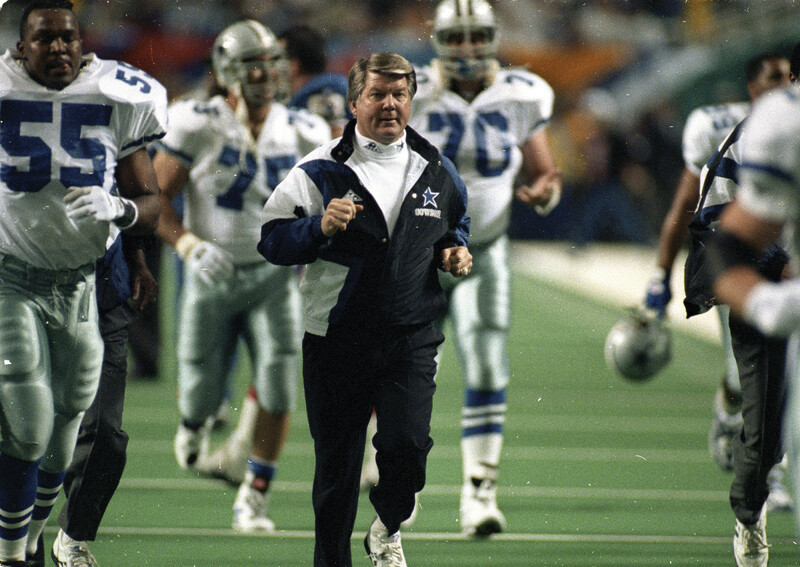 Johnson won two Super Bowl rings with the Dallas Cowboys. Looking back, did he retire too soon? The coach dismisses the notion and says living in the Keys had a lot to do with his decision. He was coaching at Dallas in ’93 and owned a vacation home in Crystal Beach, Texas, but he missed being on Florida waters. “Part of the reason I left the Cowboys was that I wanted to be around the water,” he says. 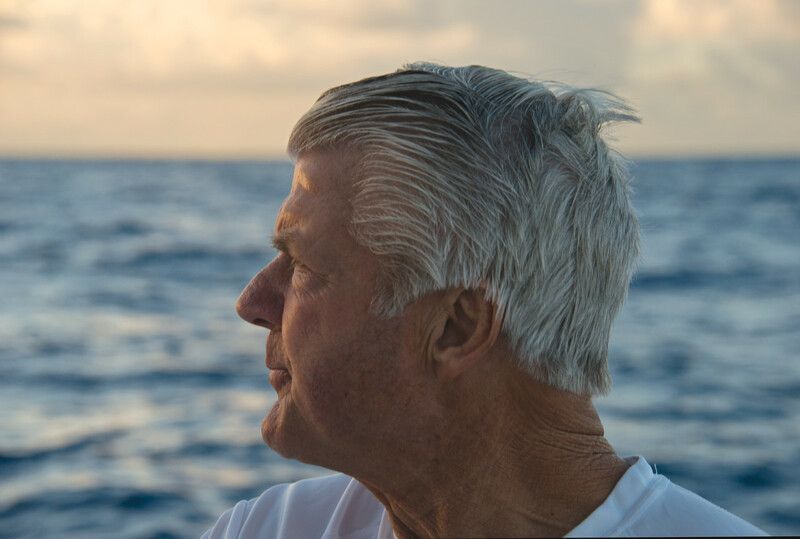 “As soon as I saw the clarity of the water in the Keys, I sold my house in Crystal Beach.” He coached the Miami Dolphins from 1996 to 1999. Johnson was the quintessential coach. He forged elite players and championship teams out of raw talent, sometimes talent no one else could see. Throughout his career, he relied heavily on his degree in industrial psychology to finesse the best out of players. Former University of Miami and Dallas Cowboys quarterback Steve Walsh says Johnson’s psychology background helped him know what buttons to push. “He knew who he could get on and who he had to coddle, which is the skill of coaching,” Walsh says. He’s able to embrace a different attitude today, especially when he’s not on set for the Fox pregame show. 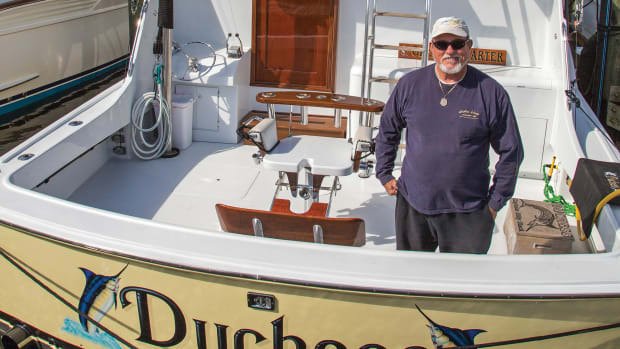 When not working, he can usually be found aboard one of his SeaVees, trolling off the Keys, looking for fish.